Single cell analysis is an emerging technology that helps sequence whole human genome at a single cell level. This particularly includes genomics, transcriptomics, proteomics, epigenomics, and metabolomics with its sensitivity improved to single cell level. In genomics, new generation methodologies such as next generation sequencing and third generation sequencing play crucial roles. The aim of single cell analysis is mainly to measure and analyze cellular heterogeneity. Single cell analysis interpret life at fundamental level and find immense applications in the field of medicine. Single cell analysis over conventional standard cell numbers sequencing method enable the discovery and investigation of unknown micro-organisms. A study published in the Journal of Single Cell Analysis 2014, stated that a variety of technologies that are powerful and less expensive, such as Multiple Annealing And Looping-Based Amplification Cycle (MALBAC) and Multiple Displacement Amplification (MDA), find great progress in uncovering somatic mutations in human genome and detection of copy number variation. But in human single-cell genomics, Whole Genome Sequencing or Whole Exome-Sequencing (WGS or WESseq) finds great potential in clinical applications, especially in screening, diagnosis, and monitoring. It is popular in academic research because mRNA helps bridge genome structure and epigenomics modification with phenotype, reveals gene functions and regulatory network, and most importantly it is easier to perform than proteomics. Inclination toward single-cell technology by biologists is mainly because many samples including stem cells, immune cells, neurons, cancers, and other tissues exhibit a stochastic nature with heterogeneity factor. Conventional methods cannot provide transcriptomic profile in highly heterogeneous cell population. Even if cell population is less, single cell analysis can enable the identification of biomarkers of delicate phenotypes or disorders (e.g. cancer stem cells). In addition, this analytical technique also helps classify different cell types in different physiological and pathological conditions, in very rare events of any somatic mutation, epigenetic modification of regulatory gene expression, and its function. A study by the Journal of Analytical and Bioanalytical Chemistry in 2014, stated that Inductively Coupled Plasma Mass Spectroscopy (ICP-MS) and ICP Optical Emission Spectrometry (ICP-OES) are applied using metal atoms such as nanoparticle for investigation of cell-to-cell variance or cellular uptake of drugs and other elements. Single-cell genomics find many clinical applications such as genetic diagnosis of embryo-related diseases and to study blood-borne Circulating Tumor Cells (CTCs). These applications may be further employed for diagnosis, prognosis, and treatment of cancer. 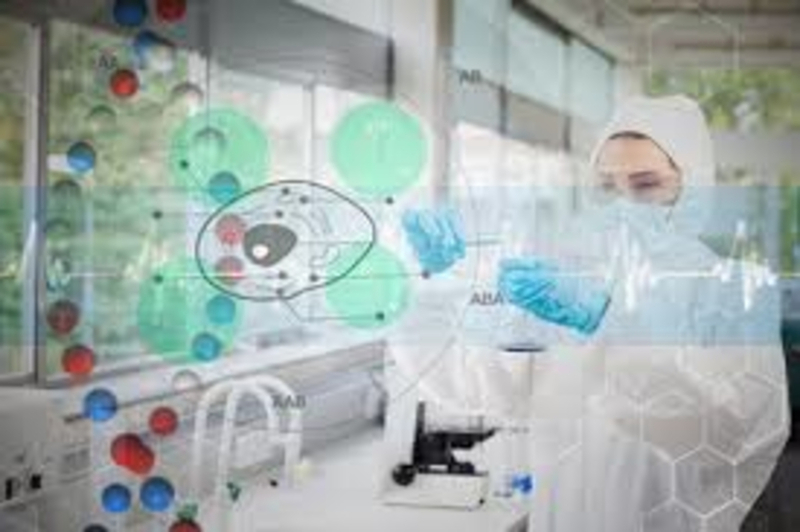 Major key players in the global single cell analysis market include 10X Genomics, Abcam Plc., Agilent Technologies, Fluxion Biosciences, Becton, Dickinson and Company, Bio-Rad Laboratories, Inc., Bio-Techne Corporation, Bruker, Danaher Corporation, Fluidigm Corporation, GE Healthcare, and Illumina, among others. The global single cell analysis market is segmented on the basis of product, types of cells, type of technique, application, and end user. 10x Genomics, in 2017, launched the chromium single cell V(D)J solution for profiling full length paired V(D)J transcripts from hundreds to millions of lymphocyte. It is a reagent system, which has the ability to completely identify and characterize T and B cells by single cell sequencing. This will reveal true clonality and diversity in adaptive immune system. This product will have an impact on research based single cell analysis market.